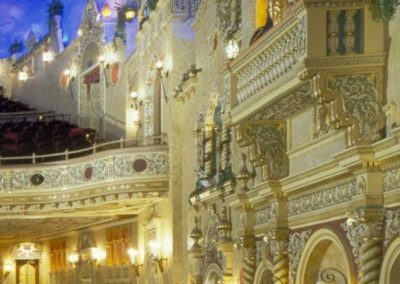 Restore to its original grandeur one of the few atmospheric theatres remaining in the United States. This spectacular auditorium in Anderson, Indiana originally featured a blue-sky ceiling with twinkling stars and wispy clouds. The side walls recreated the mood of a Spanish courtyard. Renovation would be no easy task. The years had taken their toll. 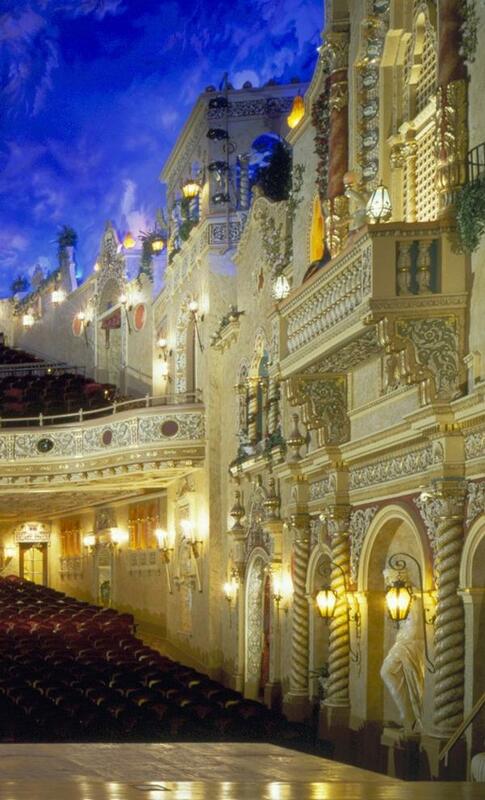 Leaks cascaded down the walls of the auditorium like waterfalls. 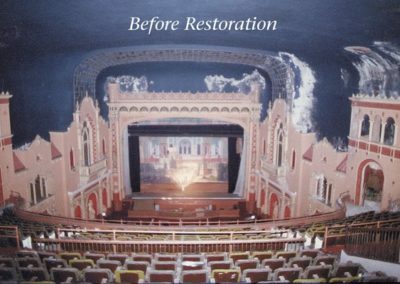 Pieces of lead paint dangled from the lobby ceiling and the auditorium had been dulled by an unattractive re-painting. 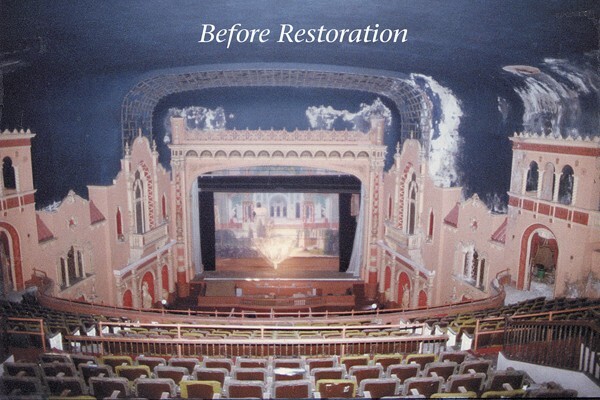 Included below is a photo of the auditorium before the restoration for comparison. 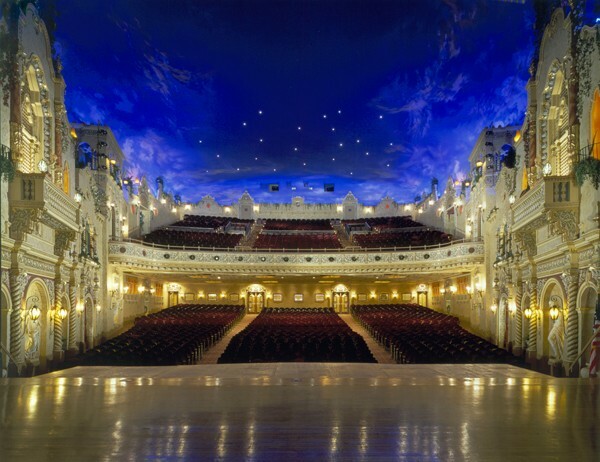 Determined to save the Paramount from the wrecking ball, the Paramount Heritage Foundation was organized and awarded Conrad Schmitt Studios the important task of restoring the theatre. The foundation selected the Studio based, in part, on a decorative sample that had been created by its artisans to illustrate the intended appearance of the restoration.